This Custom Embracer Arm Guard features a custom dragon design and border in Tan with a black tooled background. Easy on, with or without a sleeve, and comfortable for hours of shooting. Easily adjustable. Outstanding tooling from the provided image. Makes my armguard a one of a kind piece of wearable (protective) art! 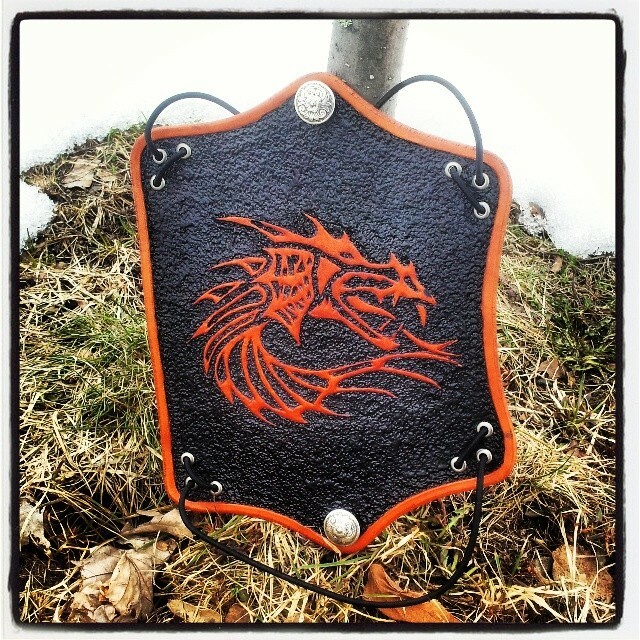 This entry was posted in Uncategorized and tagged archery, Archery Bracer, arm guard, bracer, Custom Arm guard, dragon, dragon art, leatherwork. Bookmark the permalink.